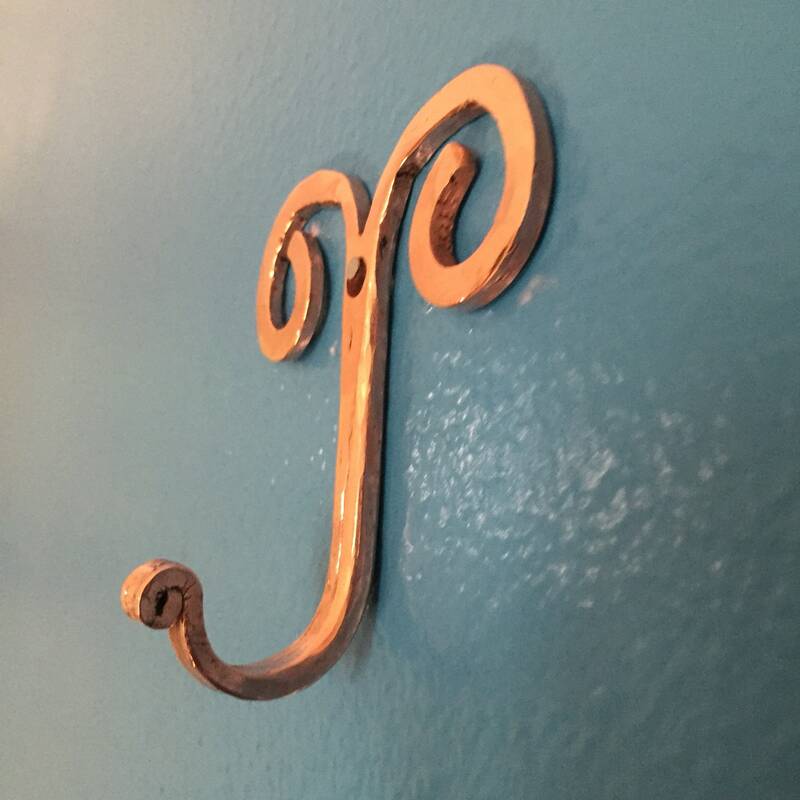 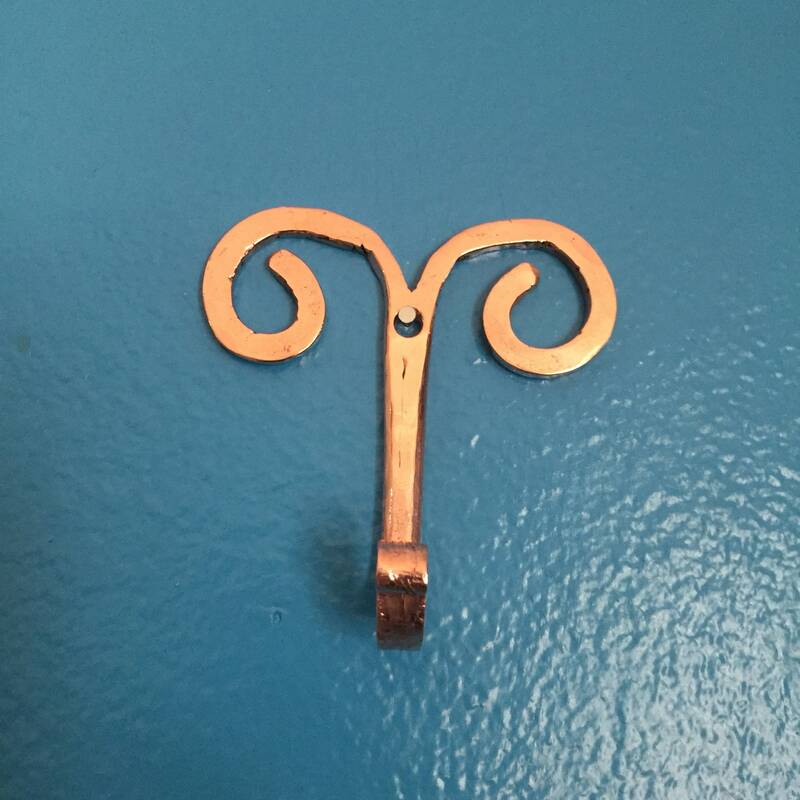 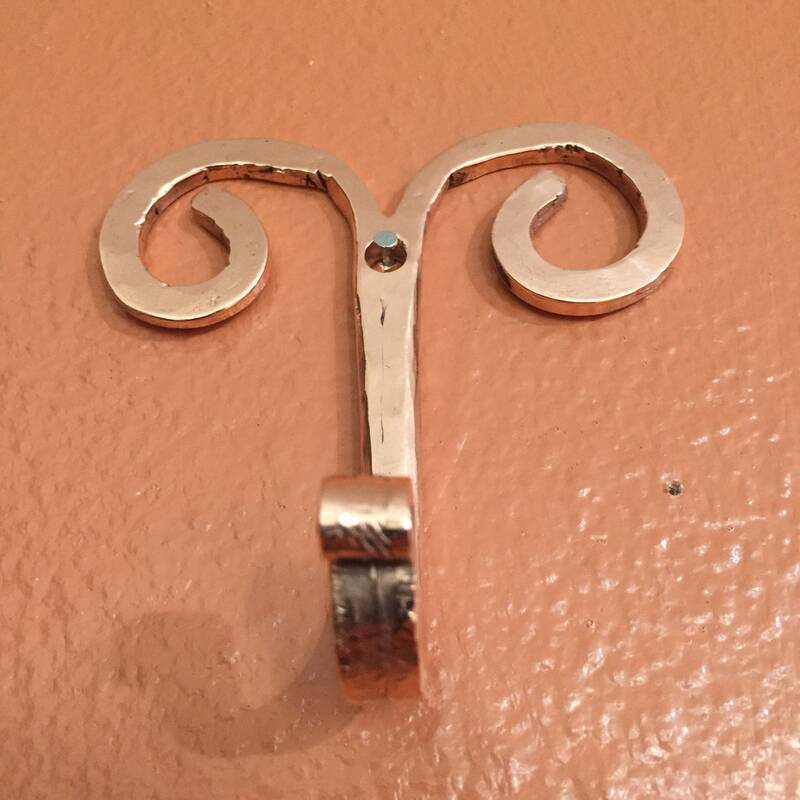 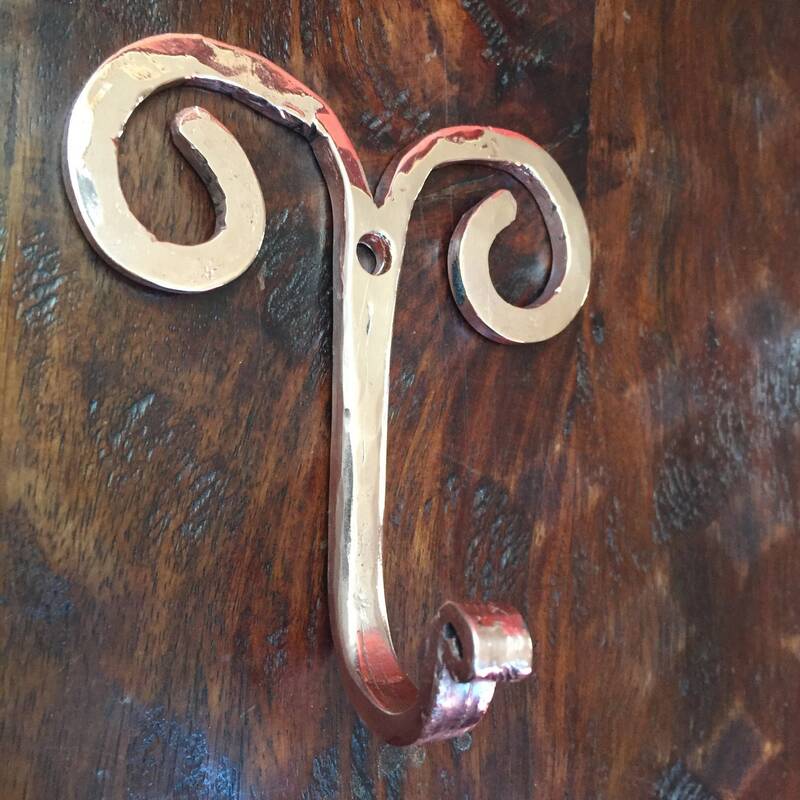 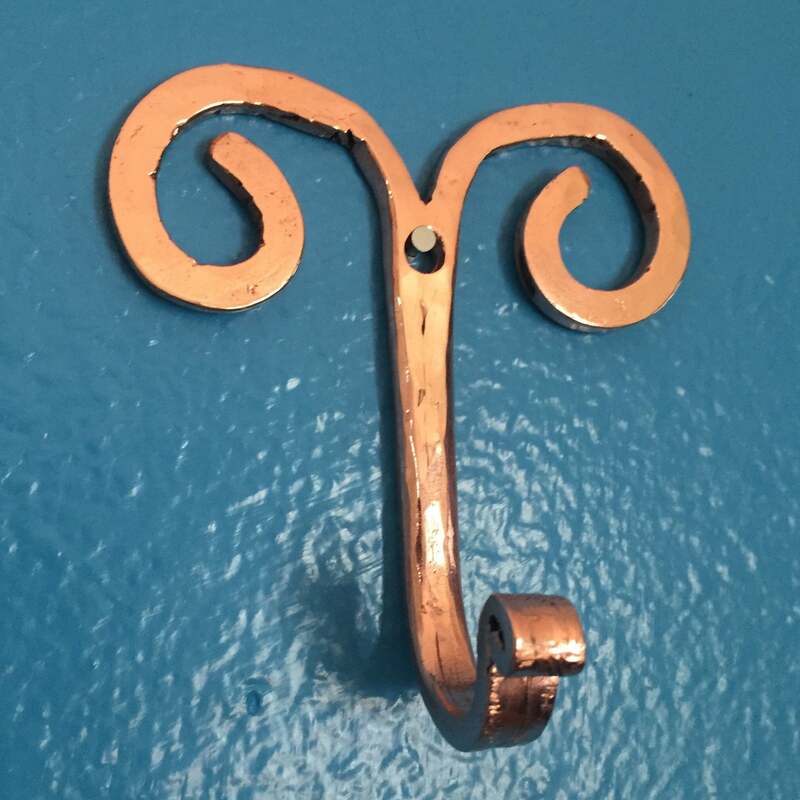 Handcrafted pure copper wall hook / coat hook. 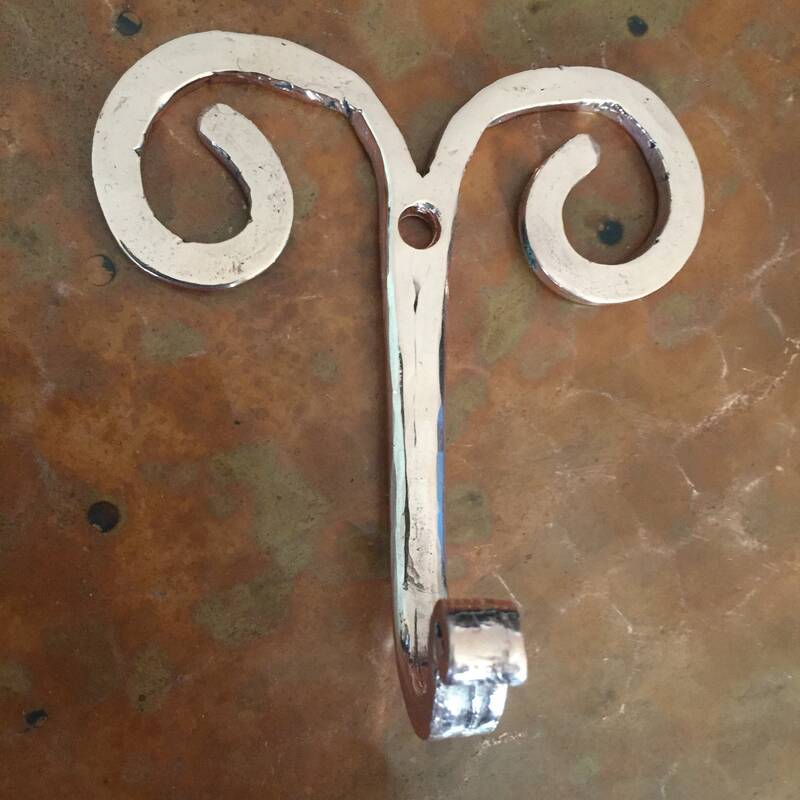 Unique double spiral design with single hook. 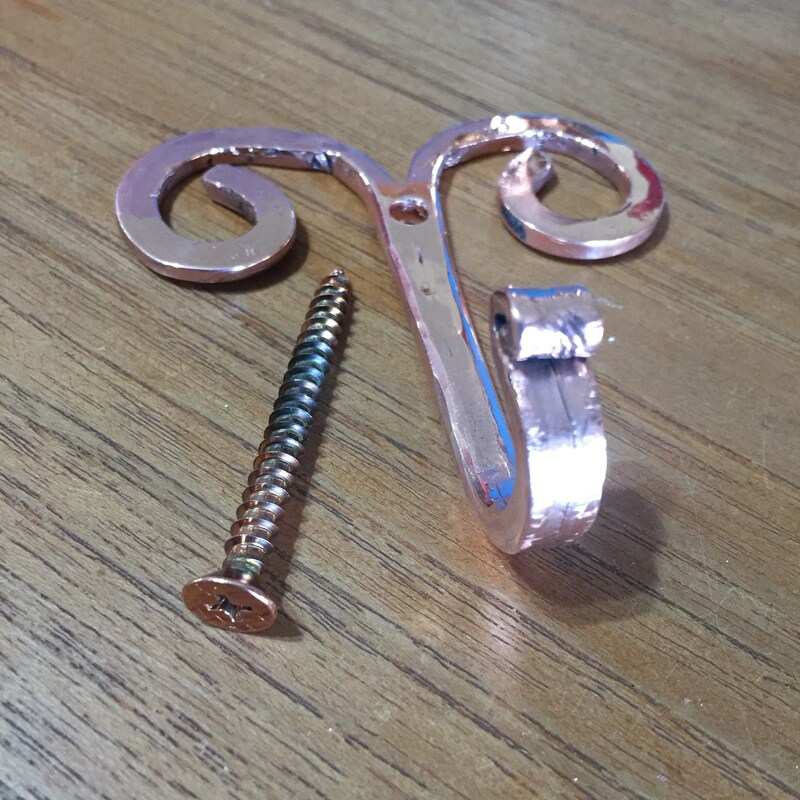 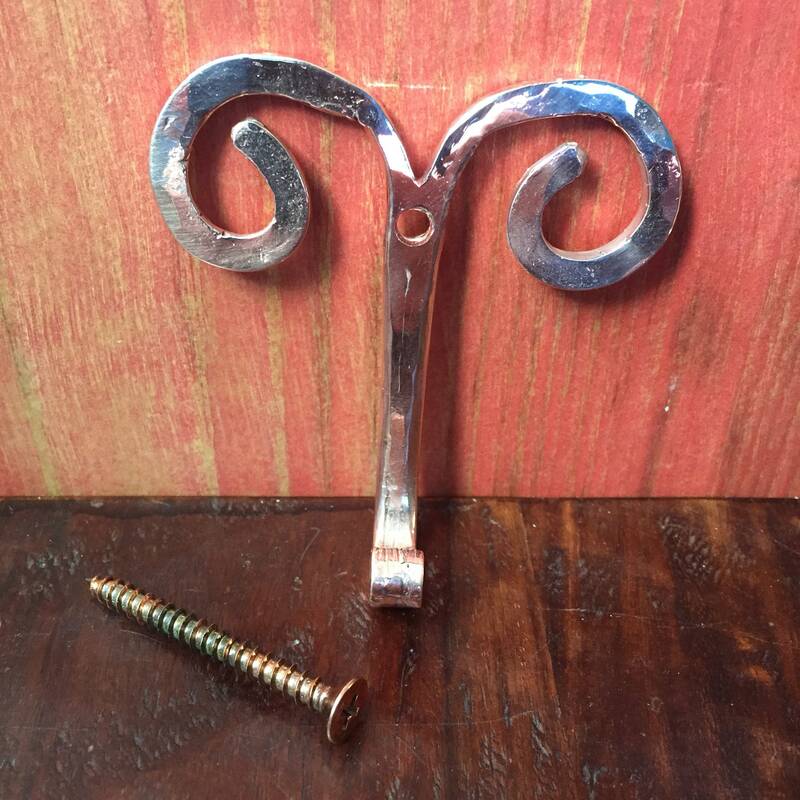 Includes 1x #10 x 2” copper coated phillips head screw. 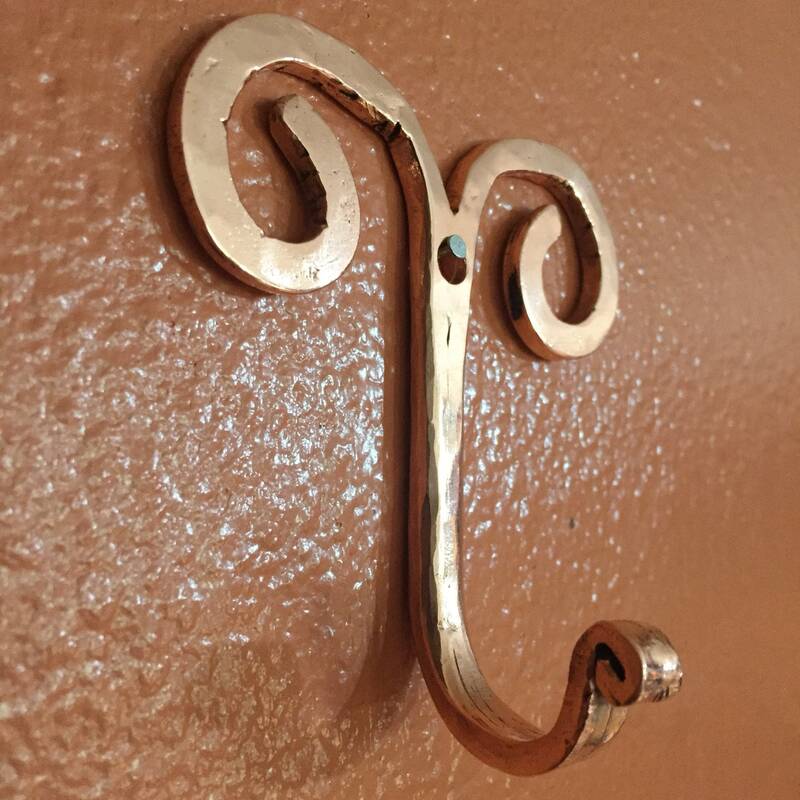 Perfect copper accent for your kitchen or entryway. 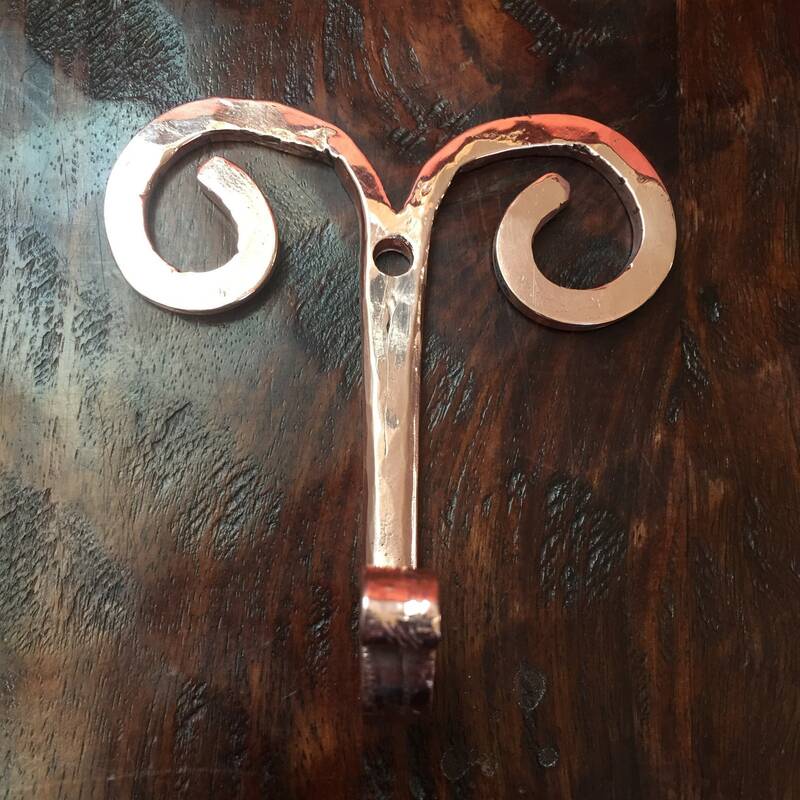 Handcrafted hand hammered decorative style.